Cristiano Ronaldo: Knowing The Real Champion, Classy Or Arrogant? Crouch had an incredible career from World Cups to Champions League finals. He scored more headed goals than anyone else in Premiership history and has a better goals-to-minute on the pitch ratio for England than even Michael Owen. A humble gentleman with great sense of humour, Crouch is one of the few players that is liked by fans of all clubs. Though of course maybe it is because of his presence in most of their clubs. Now at the end of his stellar career, he is sharing everything he has learnt and telling us exactly how it is like to be in ‘How to be a Footballer’. It is an honest, candid and great company, this is not your standard footballer autobiography but a true insider’s guide to our favourite sport. Though this recent venture has already grabbed the attention by linking the two superstars of Football World, Leo Messi and Cristiano Ronaldo. 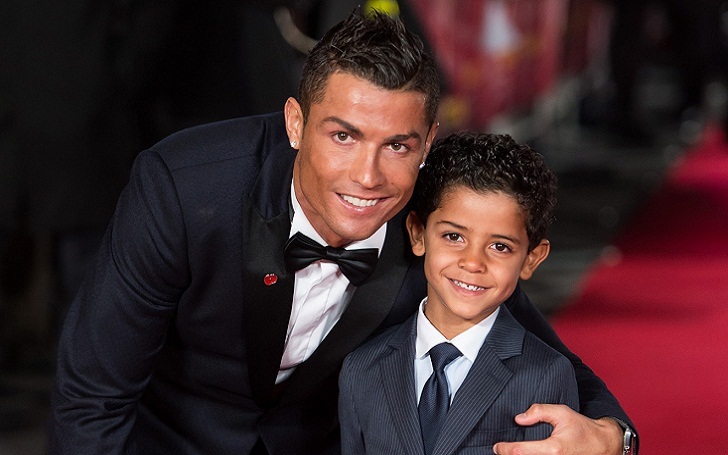 Ronaldo’s pride and self-admiration is known by all and not a secret anymore. In his book, Crouch has told a story told by his England teammate, the Manchester United star Rio Ferdinand, about Ronaldo, during his time at Manchester United and how obsessed he was with his physical appearance. While many critics find Ronaldo’s narcissism is meaningless and hilarious, some also believe that the former Madrid forward wouldn’t have been famous this much he is today if he was not been this much egoistic and self-obsessive. However the Portuguese is now at Italy and has joined Juventus this summer. After storming out England and Spain, it is Italy where he has taken the new job to be done. It was a fascinating season last time though he took a late flight. He won the Champions League last time though failed to grab the Uefa’s best Men player. He is also nominated in the FIFA award nominees though he hasn’t scored a single goal yet in the Serie A. Juventus are looking for their eight Serie A and second Champions League, where Ronaldo could have been their ace to success. Can This Liverpool Flop Revive His Career With Unai Emery’s Arsenal?